On Saturday 22nd August, Wirral Royal Mail employee James Morgan will be taking part in a unique fundraising event in Liverpool to raise funds for Wirral Hospice. James shares, “Over the last couple of years I have been involved in a number of charity events, however this year I decided to get involved in something really different and unique”. 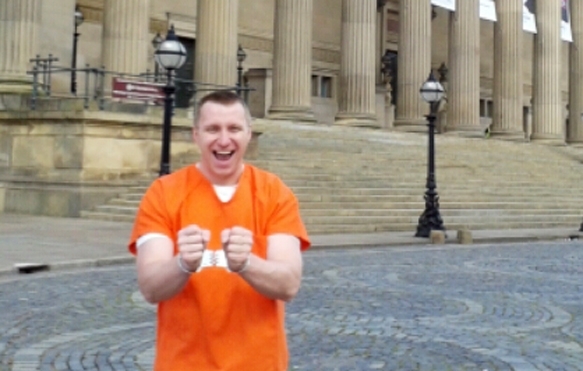 From 10am-5pm, James will be getting ‘locked up’ in an old police cell in St George’s Hall. James has chosen to take part in the challenge in memory of his Mum who sadly passed away four years ago from chronic obstructive pulmonary disease. “I’m taking on the challenge in memory of my lovely Mum, but also to support the work of Wirral Hospice St John’s. The staff at the Hospice do such an amazing and important job within our community – caring for patients with such kindness and supporting families during distressing times. I want to help out in a small way so I will have a couple of collection buckets at St Georges Hall on Saturday for any donations passers by would like to make in support of Wirral Hospice”. To show your support, stop by and say hello to James, who will be wearing a variety of different outfits throughout the day, including typical orange prison clothing and a straightjacket. On Friday 19th December, when most of us were rushing home to switch on the heating, Brittany White, 16 and her team of friends were preparing themselves for a chilly challenge to raise money for Wirral Hospice St John’s. From Friday to Sunday, the group walked 31.68 miles in 36 hours, camping out in the December cold to ensure the event reached tough status. 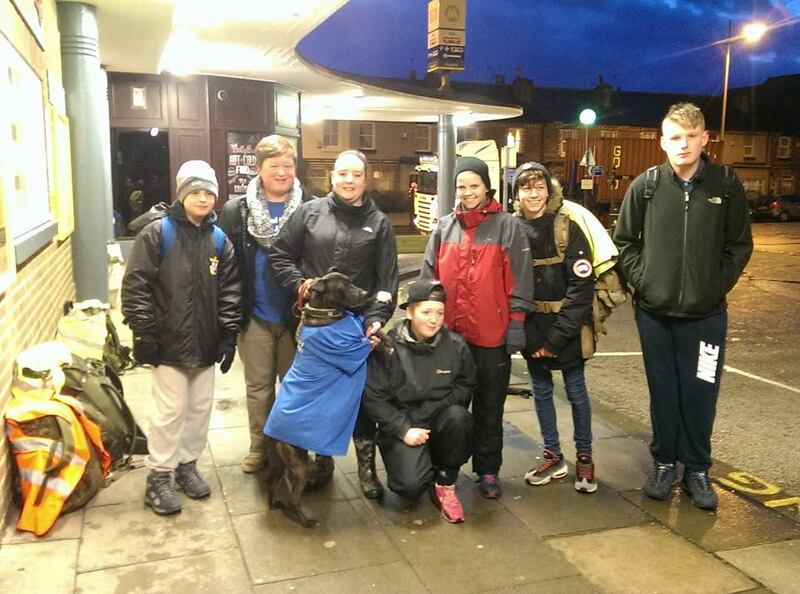 After shaving her head in September to support the Hospice (you can read about it here), Brittany felt she could do more and organised a ‘Young Person’s Walk’ with the help of her close friends from the Merseyside Arms Cadets Hoylake Detachment. Team leader Brittany said “we wanted to challenge ourselves whilst supporting a good cause. Together as a team, we found the challenge difficult but completing it made us all feel so proud and feel that our families would be proud of us too”. Many within the group spoke about their experiences of Cancer including Olly Fisher, whose Nan passed away due to the disease and Anthony and Brittany White, who lost their Granddad 3 years ago. Team member Owen Lines shared “my Mum suffered with Bowel Cancer and was fortunate enough to beat it”. Brittany added, “everyone in the team, (including our mascot Sam the dog! ), feels proud in their own way, for their own reasons”. The team of young walkers worked hard to make sure they raised as much as they could for Wirral Hospice by fundraising in the community. Over three Sundays in December, they packed bags in heron Foods in Moreton, adding to the total they had raised from family and friends. 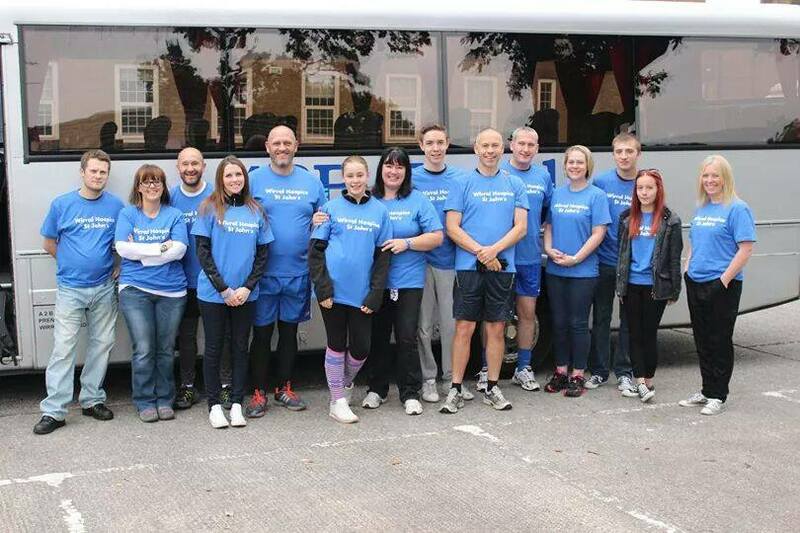 “There were times during the challenge that some of us debated whether to continue but as a team, we helped each other and did the miles with only a few blisters. Completing the challenge made us all feel so proud and feel that our families would be proud of us too. It has brought us all closer together and has built up confidence in all of us”. Brittany and the team have raised a massive £643.49 for Wirral Hospice St John’s which will make a big difference to our future patients and their families. Team members: Brittany White (16), Owen Lines (15), Brianne Dysart (15), James Sherritt (15), Oliver Fisher (15), Anthony White (19), Amy Green & Sam the dog. It’s no wonder that Tough Mudder – a 10-12 mile obstacle course designed to test all-around strength, stamina, teamwork and mental grit – is described as ‘probably the toughest event on the planet’. You may think an event boasting obstacle courses such as ‘Electroshock Therapy’, ‘Everest’ and ‘Artic Enema’ is surely a challenge that only hard-core fitness fanatics and adrenaline junkies would sign up for, but for Mark Cunningham and team ‘B Block’, a very special friend was the drive behind their challenge. 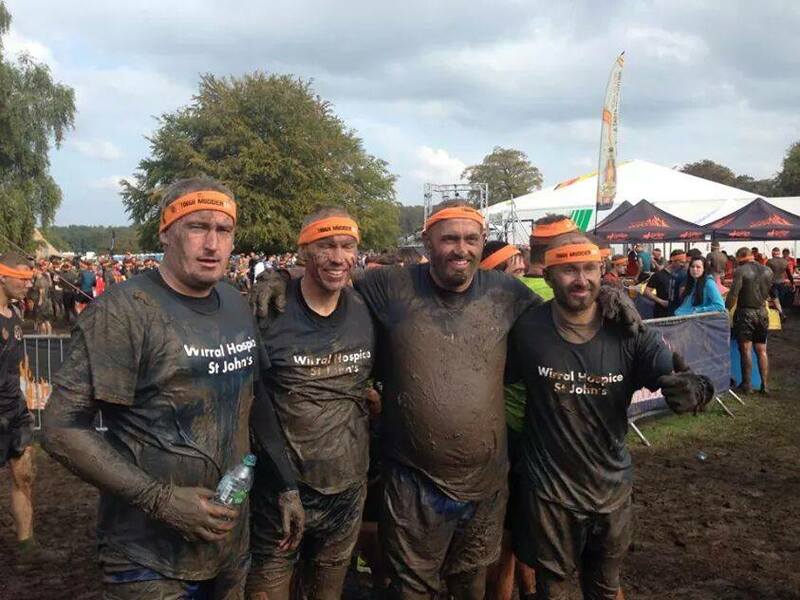 As a tribute to their friend, Jim’s colleagues signed up for Tough Mudder North West in September, knowing that the event would have been right up Jim’s street. “He remained strong right to the end and so this was our chance to be strong for Jim”. “We were all responsible for spreading the word and raising money – runners and cheerleaders together. As we arrived at the event, a chap with a microphone and PA saw us all – a sea of blue t-shirts and gave a shout out to thousands of people queuing to enter the course. Even a couple of marshals with megaphones further down the course gave the team and the Hospice a shout-out too! It was amazing. We were very proud to be representing Wirral Hospice, wearing our t-shirts with pride and remembering Jim as we put our all into each obstacle. As we crossed the finish line, we were presented with the infamous Tough Mudder headbands and a celebratory pint. We stood there together, pint in hand and toasted Jim and the Hospice. Mark and the team have raised an incredible £945.00 for Wirral Hospice which will help us to continue to provide our special care future patients and their families. Thank you Team B Block!